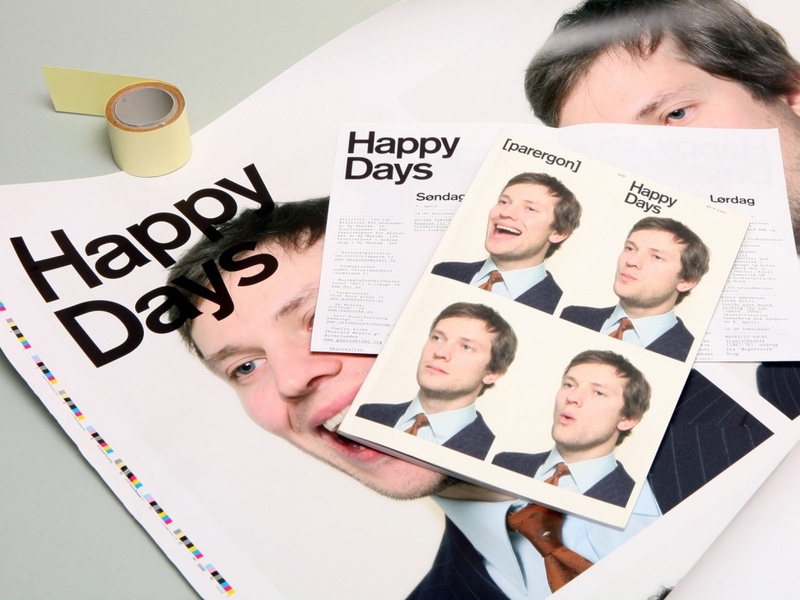 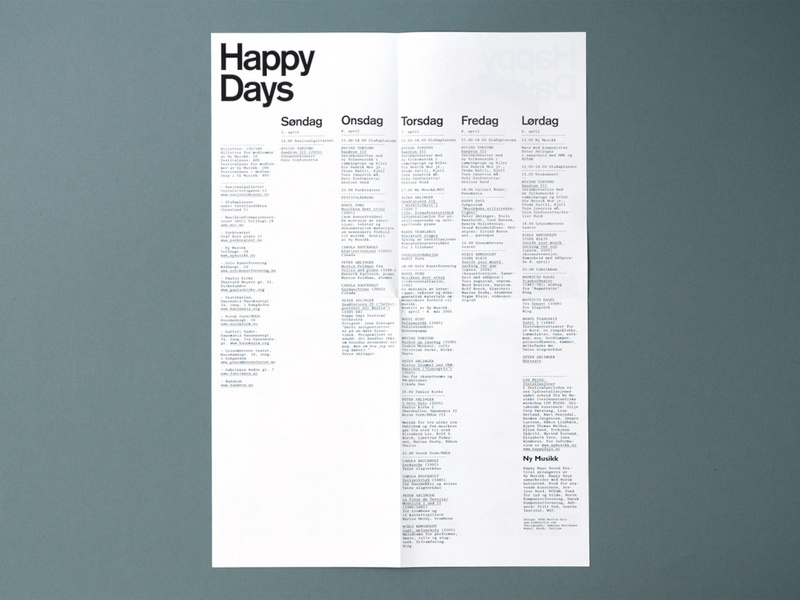 The relationship between image and sound was the starting point for our design for the 2005 Happy Days Sound Festival. 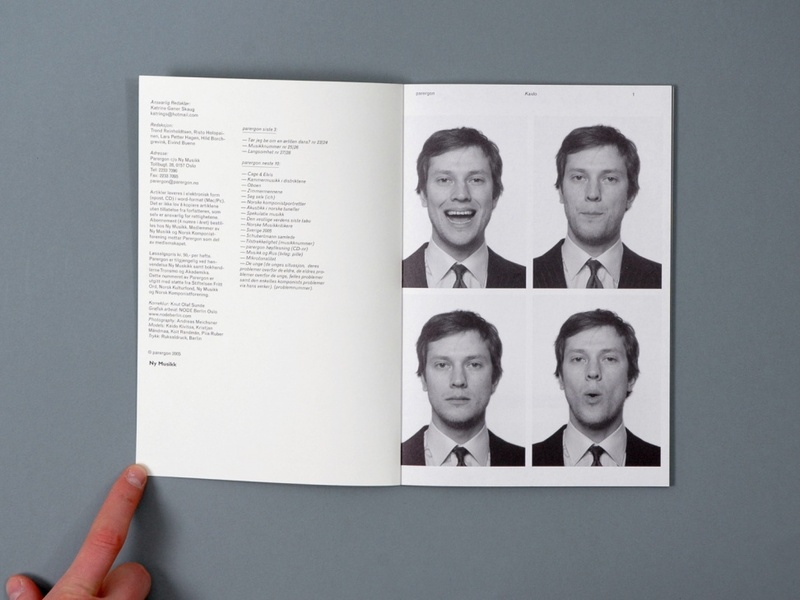 We worked with photographer Andreas Meichsner to take a series of photos of people creating sounds. 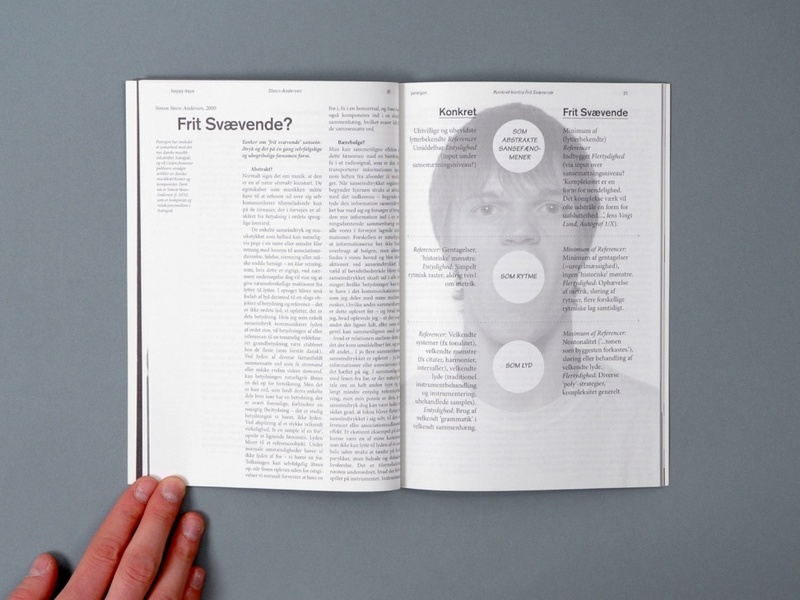 This series was also an homage to Kurt Schwitters’ sound poetry, that he performed in Oslo. 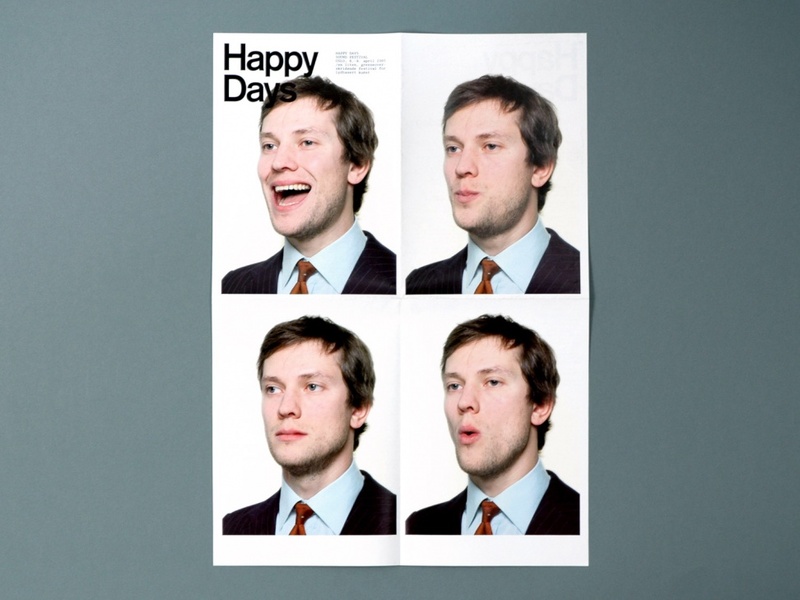 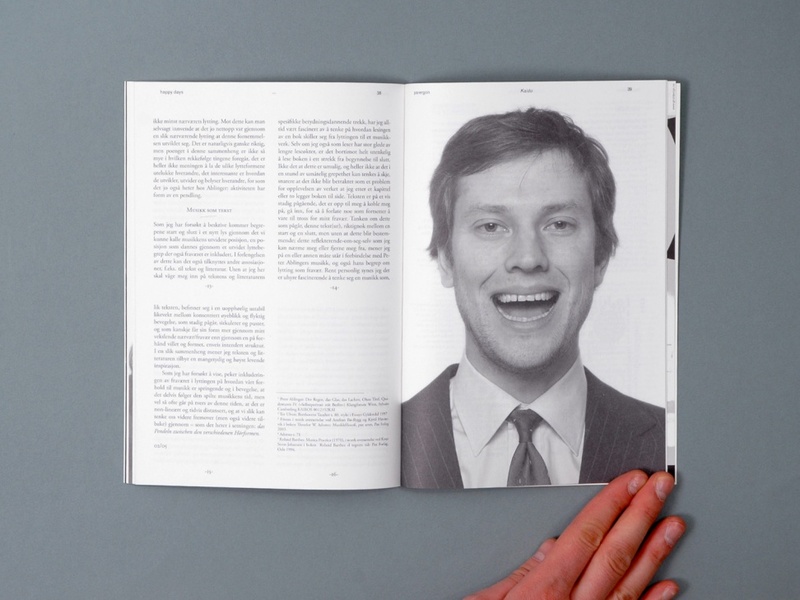 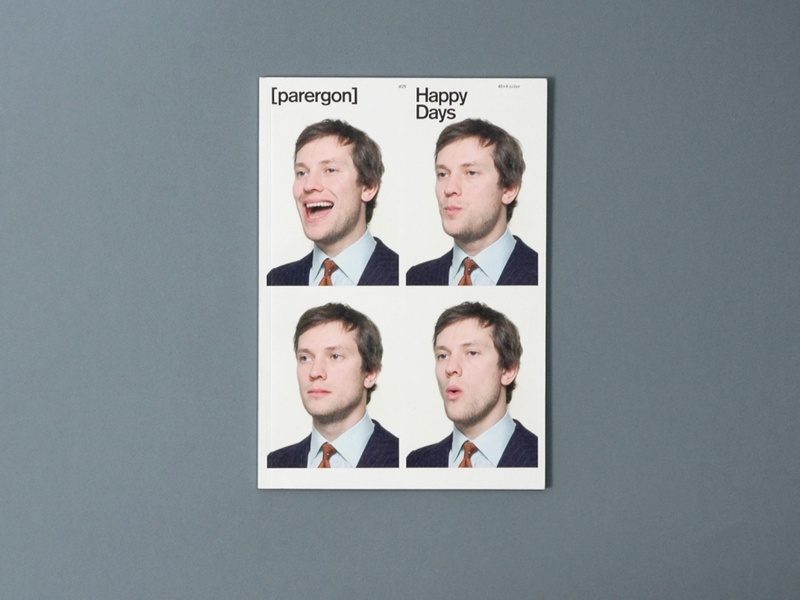 The design for Parergon Magazine was developed in conjunction with the 2005 Happy Days Sound Festival. 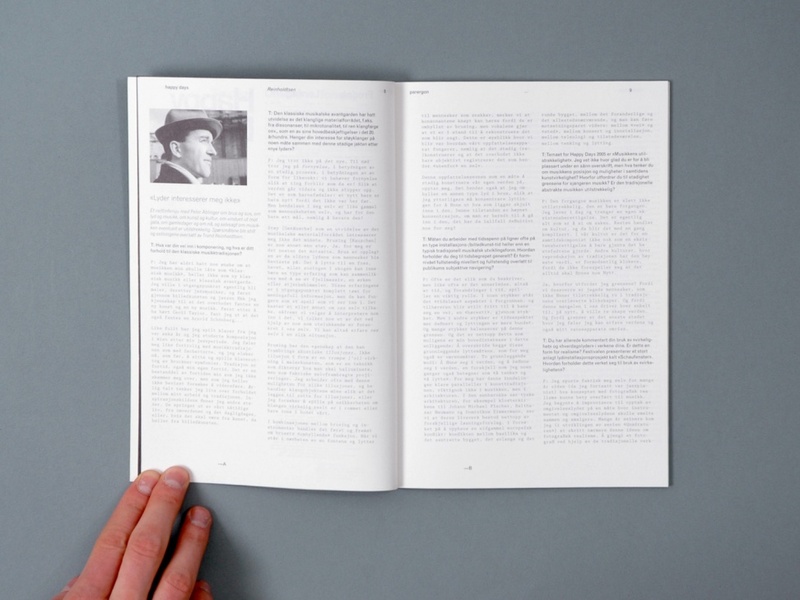 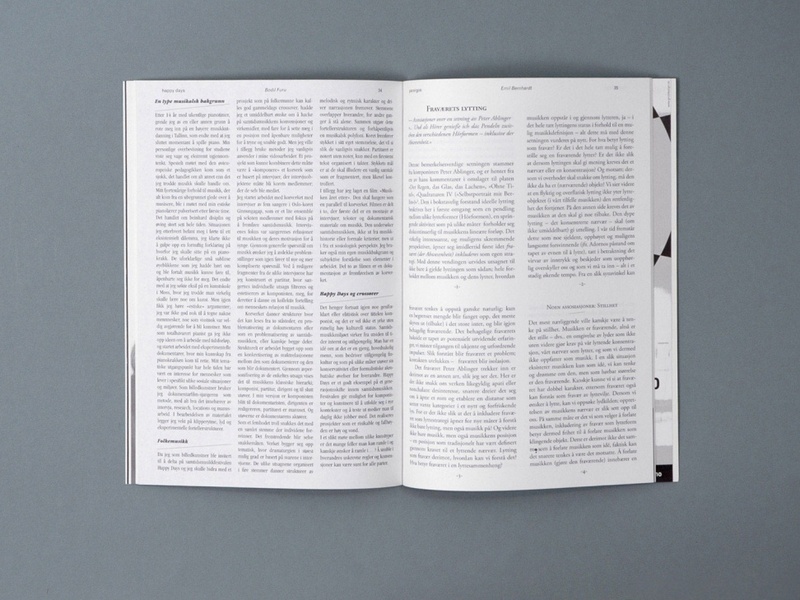 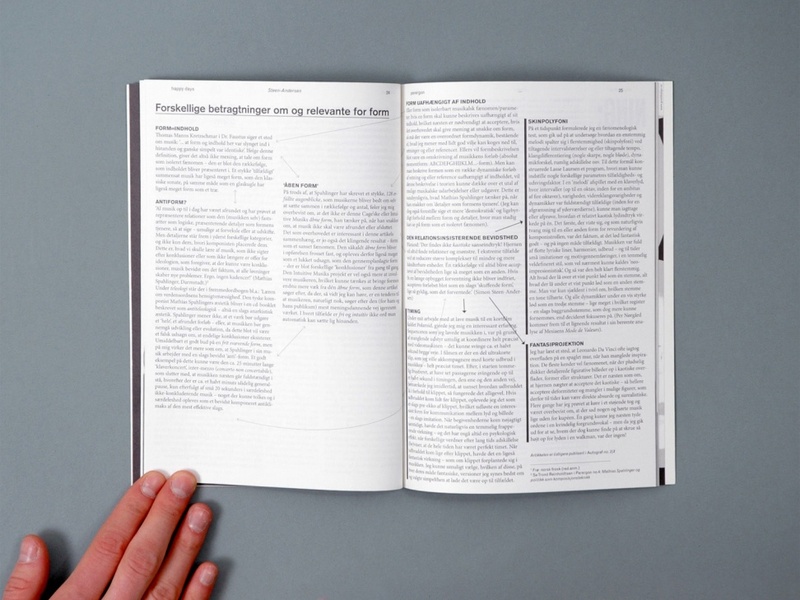 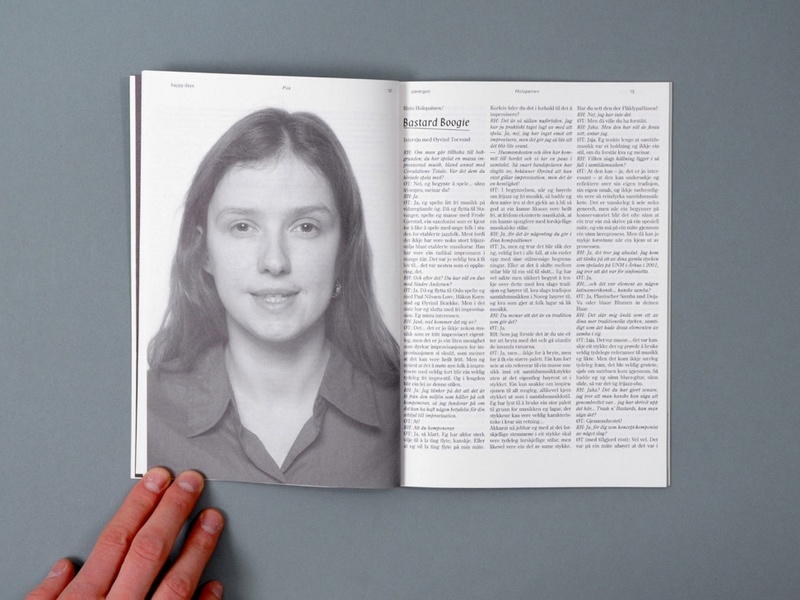 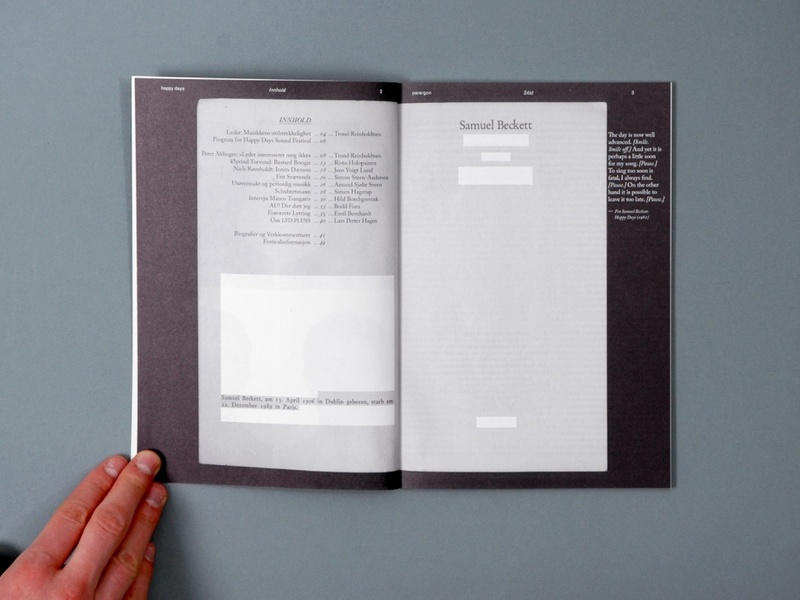 Each article was given an individual layout to underscore the diverse and experimental nature of the festival.